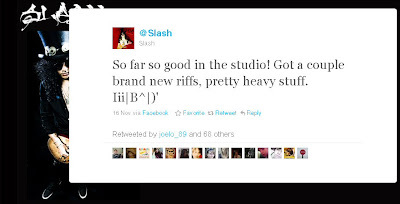 This Tuesday, Slash announced via his Twitter account that the recording for his new album had started. So far so good in the studio! Got a couple brand new riffs, pretty heavy stuff. 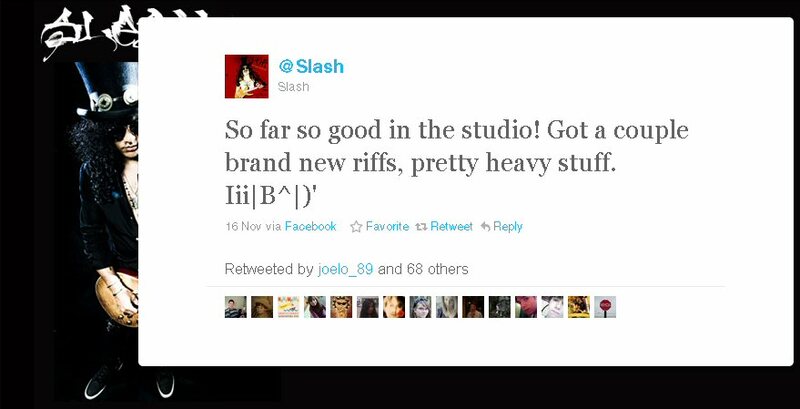 Earlier this month, Slash told the UK's Planet Rock radio that he would be working with Myles Kennedy. I'm working on new material for what would be a new record. As well on my own but probably working with Myles. That's the plan: to do an album with him.